MIDTOWN, Manhattan (WABC) -- Long Island Rail Road customers called police Saturday evening after a man was wearing a fake gun on board a train. 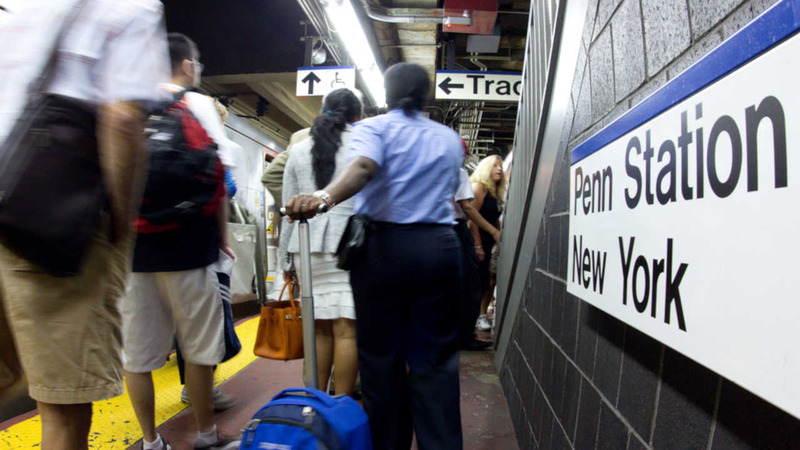 Just after 6 p.m., MTA police were called to Track 20 at Penn Station. The man had boarded the train from Carle Place, and was going to a fan event for the movie 'Suicide Squad'. Part of the costume was a prop gun that looked like an assault rifle. Passengers were alarmed when the man took the rifle out of a bag on the train, and immediately called 911. MTA Police and Amtrak Police met the man when he got off the train at Penn Station. Police checked out his gun, and determined it was not a real assault rifle, and was only a prop. The man was given a summons for carrying an air pistol, which is illegal in New York City.